There are several pay parking garages near the Aquarium (see details below). Limited metered parking is available on the surrounding streets. Free parking is difficult to find around the Aquarium. Pay parking is available three blocks away from the Aquarium, in the Cannery Row Parking Garage on Wave St., between Hoffman Ave. and Prescott Ave.; and in the Cannery Row Lot located on David Ave. between Foam and Wave streets. The City of Monterey's Smart Parking web pages have extensive information on parking options, public transportation within the area and RV parking. There is free bicycle parking across the street from the Aquarium's main entrance, near the bus turnaround. Additional bike racks are available along the recreational trail. 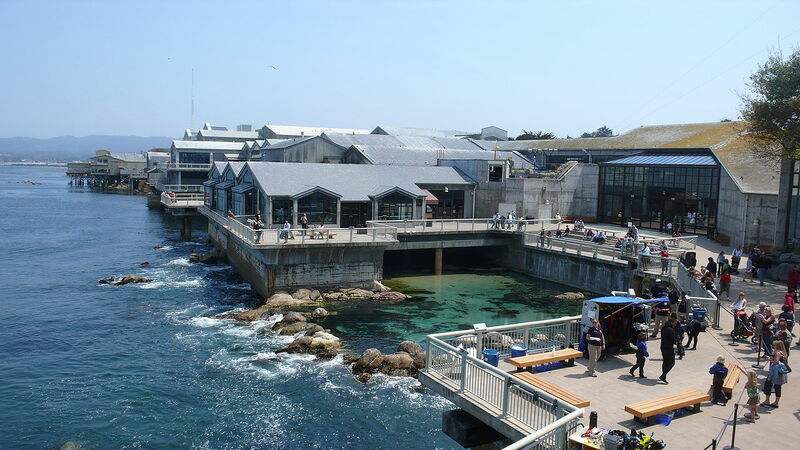 The Aquarium is located directly on the beautiful Monterey Bay Coastal Recreation Trail. Please visit the Bicycling Monterey website for bike maps and other information. At the Monterey Bay Aquarium, more than 35,000 creatures representing over 550 species fill 34 major galleries. With nearly 200 exhibits in all, the aquarium is a showcase for the habitats and sea life of one of the world's richest marine regions. You can see everything from tunas, pelagic stingrays, mackerel, sardines and scalloped hammerhead sharks, to jellyfish, seahorses, giant octopus and even great white sharks. At the aquarium, you can have a hands on experience in the touch pools where you can touch bat rays, sea stars and more. You can also enjoy an open-air shorebird aviary! Hours vary daily, check website for specific hours. Get a glimpse of all there is to see at the Monterey Bay Aquarium in this short video. If you need a place to stay when visiting the aquarium, be sure to check out their website for hotel packages. Also save money with a package deal from CityPass.